Marble is the choice of many homeowners and builders. 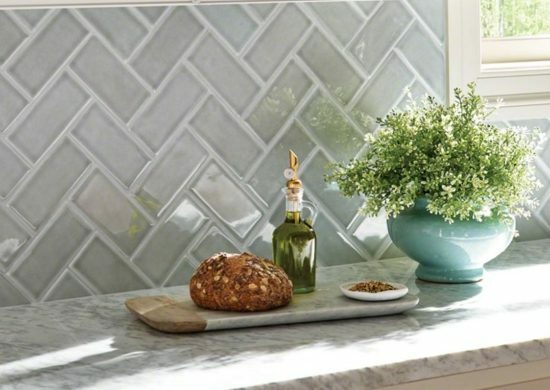 The elegance and aesthetic feeling can never be replaced by any other tile. The color, design, veins, and style can be chosen before the finish has to be decided. Finishing of the stone makes a lot of difference in the overall look. Honed, tumbled and polished are the three types of finishes available in the market. Marble is a natural stone. These natural stones are porous and require to be sealed after installation. Whatever finish is chosen it is necessary to be sealed to keep the surface and in turn the tile in good condition. Given below are the types of finishes and their positive points. Pinkish color Breccia Oniciata Marble is polished to get the glaze finish. The color and the glaze of this luxurious stone give a high-end look. Polished finish gives the smooth and shines required for a luxurious stone. Botticino Fiorito Marble tends to get scratches and stains easily. It is better not to use this stone where there is high traffic of moving items. It has a tendency of slipping when it wet. After polishing the surface may not require sealing often like the honed finish. It is always better to wipe the spills immediately and avoid any sharp objects dragged on the floor. Taking care of the surface keeps the tile in good condition and stays for long years. Arabescato Carrara marble gives a velvet look with the matte finish here. The color is not sharp and the surface is not smooth. It depends on the type of abrasive applied for honing to get a particular finish. Many homeowners with kids and elders at home prefer this finish as it is less slippery and can tolerate high traffic. It is more porous and is very necessary to be sealed in regular intervals. If not sealed properly then there are chances of surface getting stained. Rocks, sand, and water are added with these tiles in a drum to tumble and get a finish. The color is worn and rustic. The color gets more muted than the other finishes here. The surface is softened and the edges are smoothened. The surface with uneven edges, cracks, and chips gives a natural look to the tiles. The surface is rough and gets a texture. This suits best with the antique and the rustic surrounds. They are preferred for high traffic areas and wet surfaces. There are no chances of slipping and scratches. Crema Cappuccino and Emperador Dark marble have tumbled finishes and look luxurious and elegant on flooring.